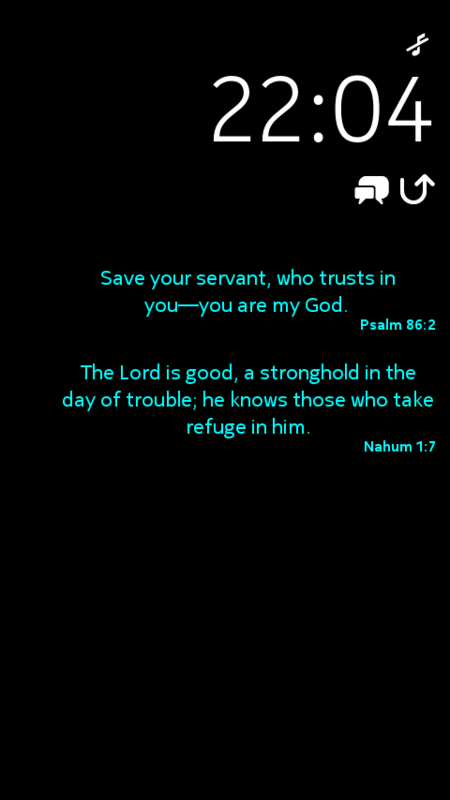 TheWord is an application for Nokias N9 mobile phone to show daily bible verses on the standby as well as on the lock screen. 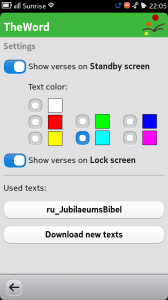 It shows every day two bible verses which are selected by the Bible 2.0 project. 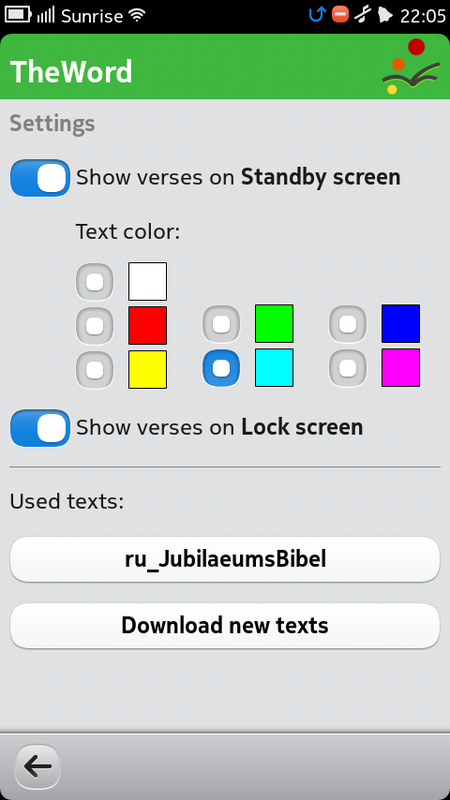 Currently the verses are provided in more than 10 languages. 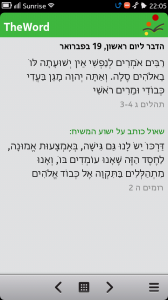 For more information about the Bible 2.0 project, please visit www.bible2.net. Plese be aware that I am not able to provide any texts in other languages! They are all provided by the Bible 2.0 project. If you think a language is missing please consider to join the project and translate it yourself! The download will not include any bible texts. You will be able to download them inside the program for free. So, after the closure of Store, N9 users cannot have The Word from the maker’s website. So sad George, so sad. I added the package to my website now. I get the error Download Failed(could not save files) – what could be the reason? Do you have a working internet connection? Maybe the server was overloaded when you tried it? Please wait and try again. It worked form me when I just tested it. Can you make “theword” for romanian language? Please! 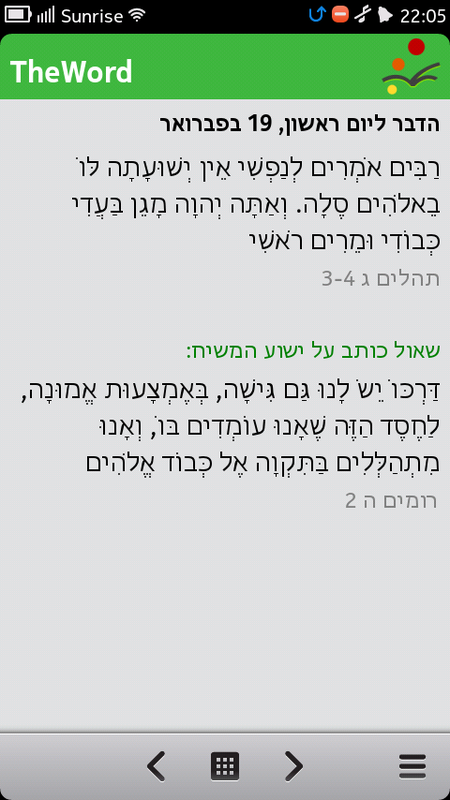 I am not able to provide a translation in this language. First of all, I do not speak this language, and secondly, its a lot of work. 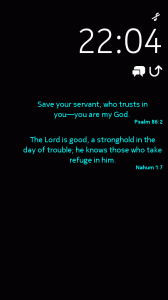 The translations are provided by http://www.bible2.net. If you would like to contribute a translation in your language, you are very welcome.